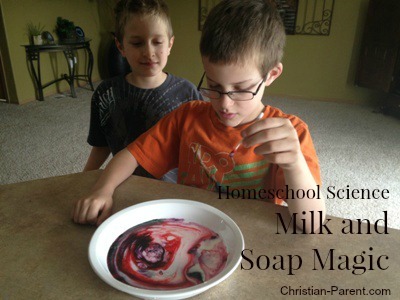 April 23, 2014 0 comments on "Homeschool Science: Milk and Soap Magic"
My boys have been wanting to try this experiment for awhile. They first saw it on YouTube when they were watching science videos made by Doctor Mad Science. This experiment involves the reaction between milk and dish soap. The key to this experiment is the reaction between the milk and the dish soap, however, you will need food coloring to see this reaction in action. Have your child pour some milk into a pie pan, just enough to cover the bottom of the pan. Wait until the bubbles in the milk pop before proceeding. 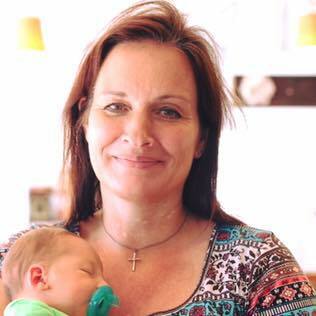 For Child care centres near me, do check out the link given. They provide magnificent care to the children and the kids always crave to go back there and have fun. Next place several drops of food coloring in the milk. Several different colors work best. Next take a q-tip and dip it in liquid dish soap. Have your child slowly dip the q-tip into the food coloring in the pie pan. The dish soap on the q-tip will react with the milk, causing the food coloring to disperse through the milk. The food coloring will go in all directions, making really cool swirled patterns in the milk. One of my boys thought his looked like the Death Star from Star Wars. If you want a more scientific description of the chemical reaction that is occurring, then check out this more detailed explanation. Make sure to check out the YouTube video my boys made to demonstrate this fun experiment.